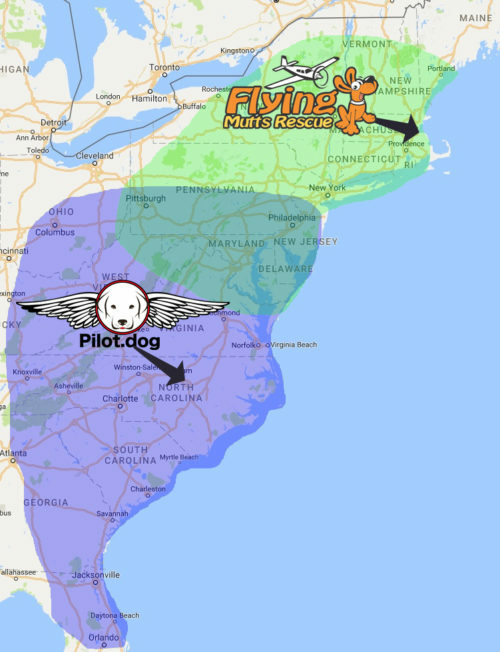 Over here in the hangar at Pilot.dog we get requests from non-profit 501(2)(3) dog rescues to assist them with flights of dogs for medical care or relocation from kill shelters. Sometimes we even get to fly rescued dogs to their new forever homes. Those flights are extra special because we get to see the utter joy on the faces of the new adoptive family. I’ve been a pilot since 1988 and currently I am an instrument rated pilot. That means if weather is keeping other pilots on the ground, generally we can fly. We regularly fly through the clouds and rain on our appointed rounds. The trusty Pilot.dog airplane taxing in from another successful dog rescue flight. Our plane is the trusty Cessna 182. It seats four people with room for at least an additional nine puppies in the extra cabin area. At least that’s the most number of puppies we’ve carried back there. 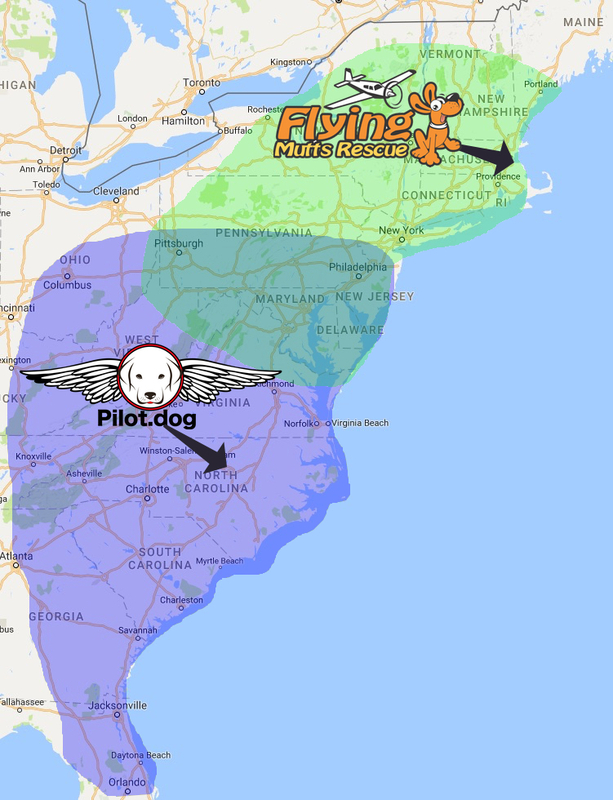 Our home airport is the Raleigh-Durham International Airport in Raleigh, North Carolina and from there we typically fly all over the east coast or have partners we can connect with. 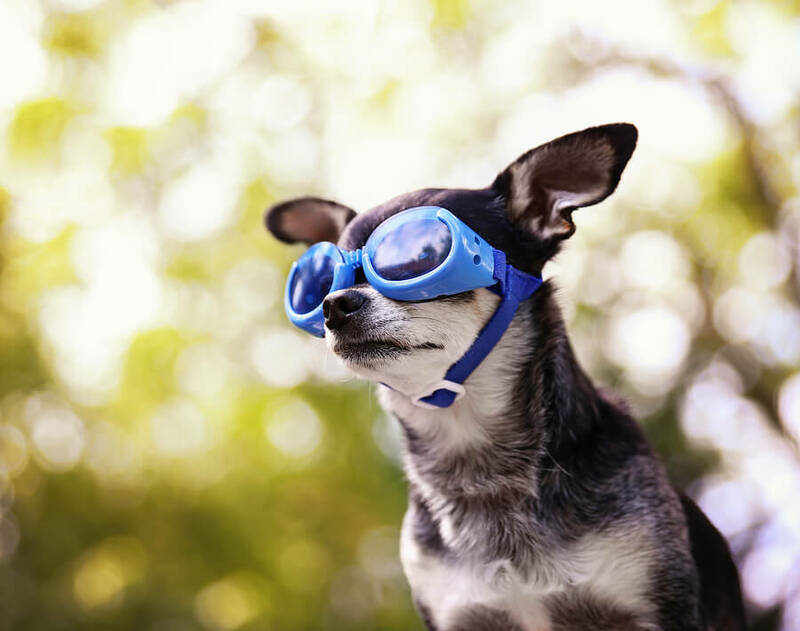 Our focus is to provide the most caring and compassionate travel for the dogs who join us. 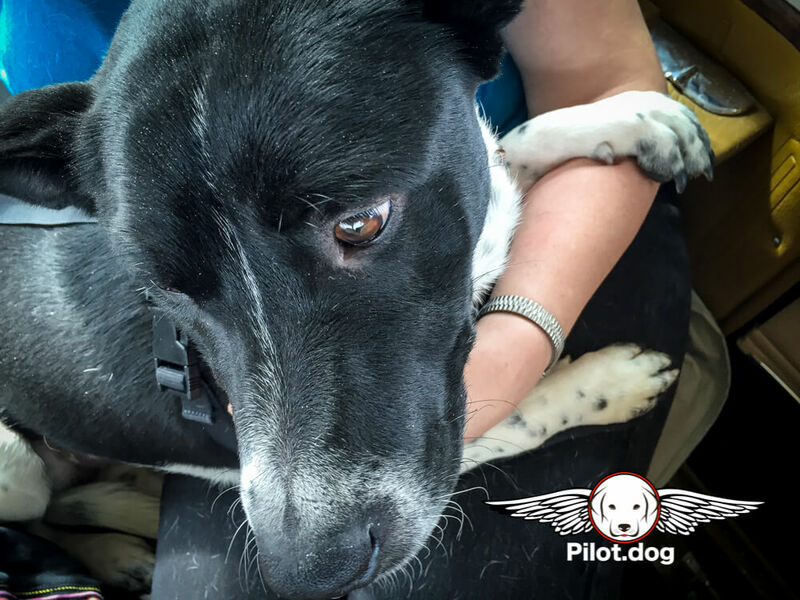 Pam acts as the inflight companion and she cuddles with the dogs, pets them, or just keeps them entertained to make the journey as stress-free as possible. 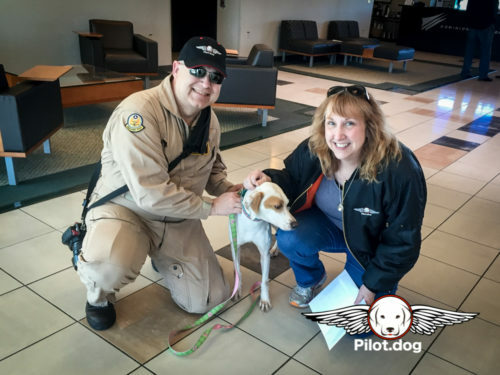 There are different types of dog rescue pilots out there. 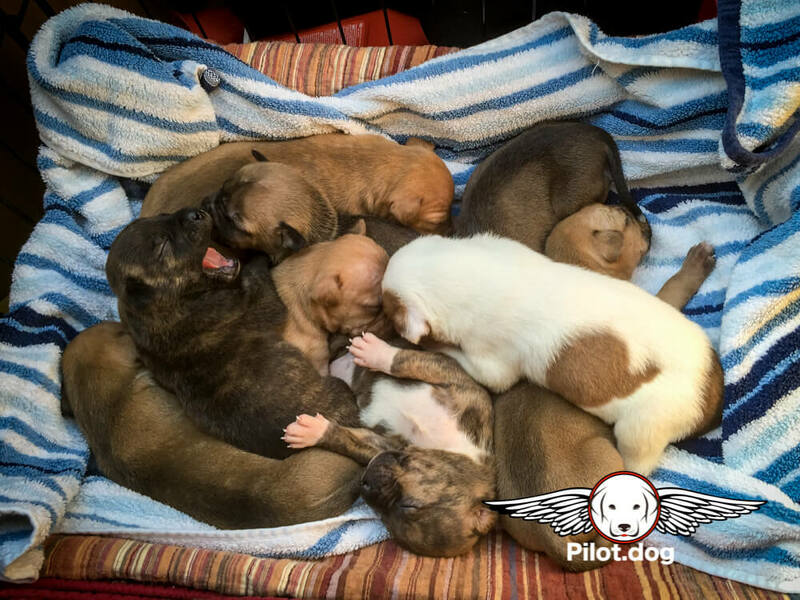 Our approach seems to be in the minority since we typically don’t fly more than three grown dogs at a time but we can add a bunch of puppies to that dog manifest as well. We are not dog cargo haulers or flying UPS drivers. 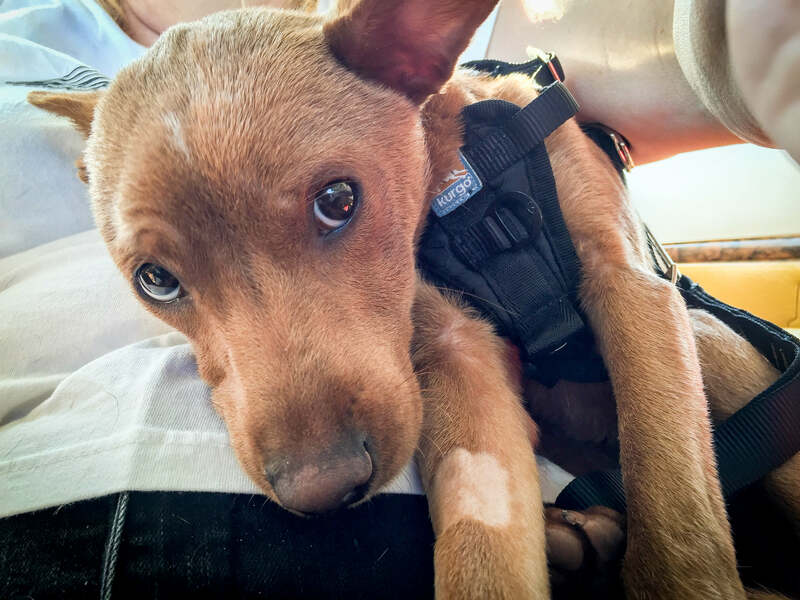 Our approach is to make the trip special for the lucky rescue dogs. 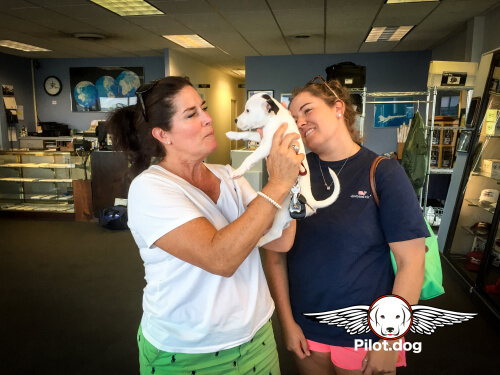 And when we arrive at our destination we love to stay involved in the lives of the dogs we fly. Take a look at our Where Are They Now stories. Pilot.dog is not a fly-by-night organization, although we will fly at night. We have a bunch of respectable directors who care deeply about dogs. And keeping up with our mission to fly dogs with care and compassion also extends to things like making sure we all have the right paperwork to make this a smooth experience. That means things like needing Certificates of Veterinary Inspection and other state specific documentation for the flight. We ask for all of this information on our flight request form that you can fill out online. 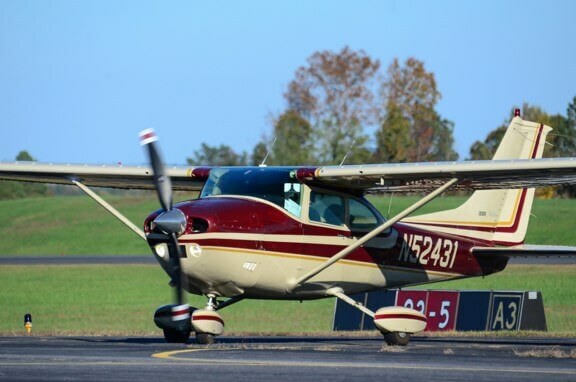 If you are a nonprofit organization like we are, we will ask you for a charitable deduction receipt for the flying expenses we donate to assist you. This is actually part of the flight request form so there is nothing else you need to do. We’ve made the process as simple as possible for you. But it never hurts to ask for a donation to help us to keep flying. So here goes the ask. The Aircraft Owners and Pilots Association said that when we factor in all the operating costs for our type of plane it works out to about $200 per flying hour. But even just the fuel bill is about $70 a flying hour and that’s money that the oil companies get. Our plane typically covers about 140 miles an hour. Pilot.dog is a nonprofit organization and as a result, we’re able to accept tax-deductible donations from the public to help in our efforts. If you are interested in supporting our nonprofit, with a one-time donation or ongoing flight support from as little as $5 a month, or if there are ways we can collaborate on raising money to continue this good work, please let us know. 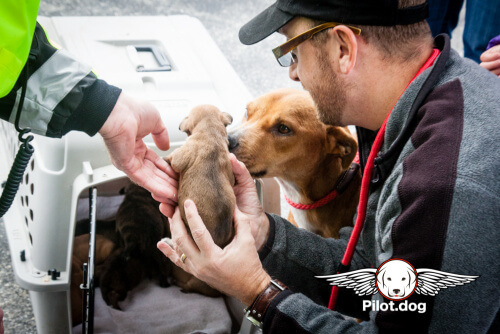 Visit https://pilot.dog/donate for easy ways to be a supporter of our mission. But if you can’t afford to donate anything, no worries, we understand how tight things can be and we’ll fly for you anyway. As part of our mission flights we also put together videos of the flight to share, our podcast on the flight, and articles about the mission that appear on places around the web, including Huffington Post. We love to brag about the rescues we assist and the dogs we have a hand in saving. Click Here for Flight Request Form or contact us.